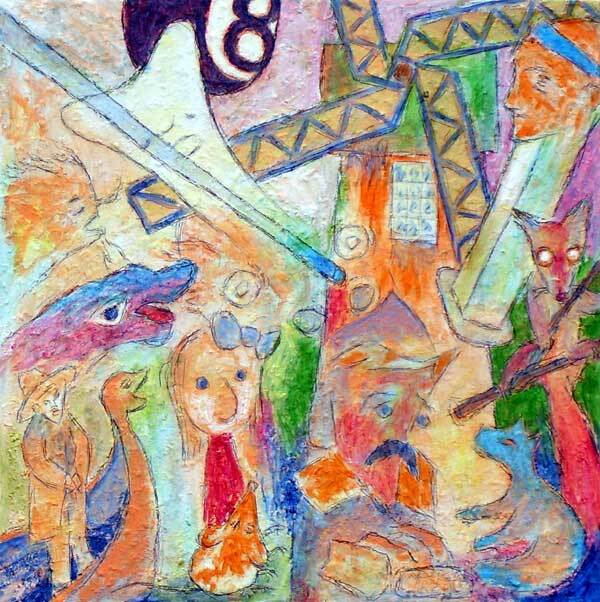 “Don Quixote Eight Ball” contemporary mixed-media painting. acrylic media, archival pigments, ink, cotton lint, gesso on canvas. 36 in x 36 in.